I have had the opportunity to preach Easter sermons on a few occasions. I usually tried to use the sermon as an opportunity to think deeply about the incarnation, especially why Jesus came “in the flesh.” Sometimes this meant that I would use text which is more associated with Christmas than with Easter, to shake up the listener who was expecting the “normal” Easter sermon. Bill Mallonee wrote the song “On to Bethlehem” a few years back as a Christmas song, but it strikes me as appropriate for Easter as well. He just released a live acoustic album on Bandcamp with a nice version of the song, so the lyrics have been on my mind the last few days. God wraps Himself up in human skin for those who want to touch. And God let them drive the nails in, for those of us who know way too muchYou come bearing all our burdens, and take Your lovers for a ride. But we stay holed up in our cages, fashioned by our own design. I find these lines a remarkably clear presentation of the Gospel, but also a frank description of the human condition. In the incarnation, God did in fact “wrap himself in flesh,” but he did so in order to give his life as a ransom for many (Mark 10:45). I think that people get overly excited about the torment of the Cross, distracting them from the meaning of the death and resurrection of Jesus. That is easy to do with recent films like Passion of the Christ, and no doubt it was a bloody torturous death. But the point is that Jesus becomes our sin-bearer, the one who is willing and able to make atonement. This Easter, it is time to see the cage for what it is, and step out into the fresh light of the Gospel of the Grace of God. Chronologically, the book of Romans provides the earliest glimpse at the character of the churches in the city of Rome before Paul arrived. Christianity came to Rome through the synagogues. It seems likely that Jews who heard the gospel while in Jerusalem at Pentecost returned to Rome and continued to fellowship in synagogues until at least A.D. 49, when Claudius “expelled the Jews.” Paul wrote Romans in the second half of the 50’s to already existing congregations which have separated from the synagogues or were formed outside of the synagogues of Rome. Evidence for the church developing out of the synagogue is found in Romans 16. Aquila and Priscilla are Jewish, as well as Andronicus, Junian and Herodion who are identified as Jewish (7, 11), the names Mary and Aristobolus may also indicate a Jewish origin. According to Acts 18:2 and Seutonius, Claudius 25.4, Jews were expelled from Rome in A.D. 49 (although Dio Cassius dates the edict of Claudius to A.D. 41, Acts and Seutonius both agree with the early date). Just who was expelled is debated, it is hardly possible to have the whole population expelled given a Jewish population of 30,000 at the time. It is possible just the ringleaders were expelled, people such as Aquila and Priscilla. Perhaps only a single synagogue engaged in the rioting over Chrestus and was completely expelled. The bottom line is that by 49 there were lively debates among Jews over who Jesus was and these debates were violent enough to attract the attention of the authorities. Romans implies that some Jews returned by the mid-50’s, specifically Aquila and Priscilla. By the time Paul writes Romans, there are Jewish Christian congregations, perhaps mixed Jew and Gentile congregations, and maybe a purely Gentile Christian congregation. The phrase “those with them” plus a proper name is used five times in Romans 16 (5, 10, 11, 14, 15). This may indicate Paul knows of five separate house churches in Rome. There are other Christian names listed who probably did not belong to the same congregation (or they would be listed with the others), so at least two more could be implied. Paul lived in Rome in a rented house, likely constituting an eighth congregation. There is no central meeting place for these congregations. Paul hosts at least one in his house, perhaps others met with him at other times for instruction and debate. It is not too much of a stretch to imagine Paul engaged in the sort of ministry he had in Ephesus, teaching and debating the scriptures in an informal “school” at times when people could visit – afternoons and evenings. In addition, there is nothing which requires a “church” to meet only on Saturday or Sunday, in ten different locations at general the same time. It is possible that ten congregations meet at various times and in various places during the week, and even some individuals attending multiple churches. 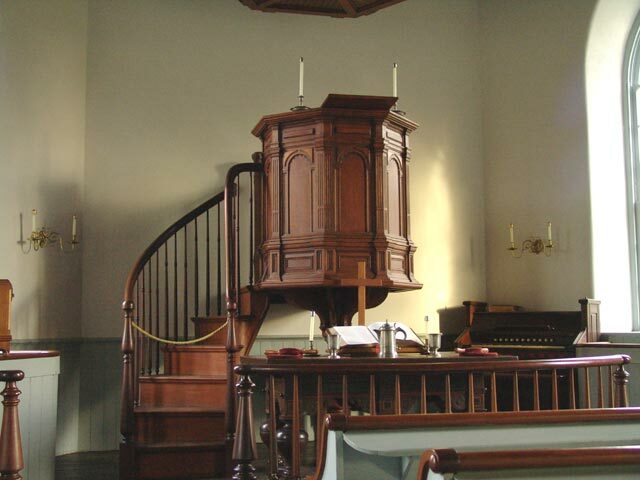 The congregation size of a house church would vary depending on the home in which the church met. I would suggest that the churches initially met on the analogy of a Synagogue, where ten men coming together to study the scripture constituted a synagogue. If this is the case, by the time Paul arrives in Rome in the early 60’s, there were no more than a few hundred Christian in a city of millions. 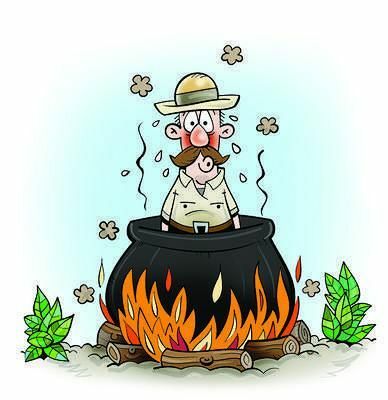 Yet in a few years Christianity has grown to the point that Nero can use the “strange superstition” as a scapegoat for his fires. By the 90’s Christianity has spread to even the imperial family, forcing Domitian to persecute Christians in Rome. Bibliography: Peter Lampe, From Paul to Valentinus: Christians at Rome in the First Two Centuries (Minneapolis: Fortress, 2003). Acts 28:30-31 For two whole years Paul stayed there in his own rented house and welcomed all who came to see him. 31 Boldly and without hindrance he preached the kingdom of God and taught about the Lord Jesus Christ. Luke gives us a very brief overview of the next two years, but leaves out all the details we want to know. What happens to Paul and his case before the Romans? The traditional answer is that he went to trial and was acquitted, or because to Jews from Jerusalem came to accuse him, he was set free. It is clear from the Pastoral Epistles that Paul was not free at the time of his death, that he was in chains in a tradition prison, and that all had left him. He was far from the description of his ministry found here in Acts 28. It is likely that Paul was released after the two years, and that he ministered around Rome, possible into Spain, and then was arrested in Rome in the early 60’s where he was executed by Nero. James Dunn, on the other hand, suggests that the trial went badly for Paul and he was executed; Luke simply ended his story on a high note rather than with the execution of Paul (Dunn, Beginning From Jerusalem, 1053). This view must consider the pastoral epistles as well-meaning forgeries of the Pauline school rather than genuine letters from Paul. Without hindrance indicates that there were no groups that stood in his way, as Paul had to deal with earlier in the book. Whether Jews or pagans, there was always someone hindering his preaching. But in Rome Paul is free to proclaim Jesus to both Jew and Roman without persecution or hindrance. The content of this bold preaching continues to be the kingdom of God and teaching about Jesus. It might be a surprise to us that Paul would continue to preach the Kingdom of God, but this is exactly how Luke began his book, the preaching of the kingdom of God would start in Jerusalem and go out to the entire world. By the end of his book, the gospel is proclaimed with complete freedom in Rome. 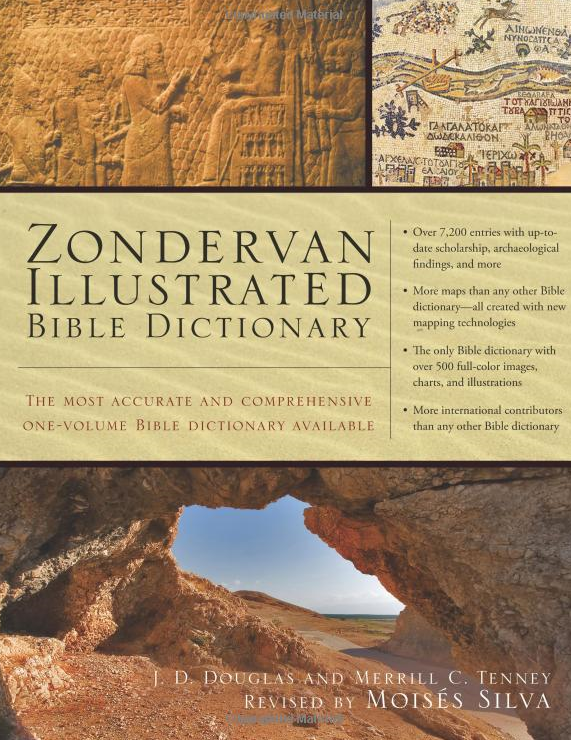 Zondervan Illustrated Bible Dictionary. J. D. Douglas, Merrill C. Tenney, ed. Moises Silva (Grand Rapids, Mich.: Zondervan, 2011). $29.95, hardback; 1517 pages. This new release from Zondervan is more than a re-packaging of the venerable Zondervan Pictorial Bible Dictionary (Merrill, 1963) or the New International Bible Dictionary (Douglas, 1999). Nor is this merely a stripped down version of the recent five-volume revision of the Zondervan Encyclopedia of the Bible (ZEB). This Dictionary gives a brief gloss for many items that the larger Encyclopedia provides support and additional documentation. This Dictionary is not a replacement for a multi-volume work like the Anchor Bible Dictionary or the ZEB. There may be places where the brevity of the work is frustrating, but that is the nature of a single-volume dictionary. This work has enough definition to help a Bible reader understand historical, geographical and cultural elements in the text as they read. The introduction indicates that 1,800 new articles have been added. There are now more than 7,200 entries covering historical and geographical topics, but also general theological issues as well (Jesus, Sin, Bible translation, etc.) A handy feature for the non-professional is the inclusion of Goodrich-Kohlenberger numbers for all Greek and Hebrew words. This allows someone without biblical languages to use other Zondervan resources to do further study. For example, in the article on loving-kindness (p. 862), hesed appears in transliteration and the GK number (H2876) can be used to look hesed up in the New International Dictionary of Old Testament Theology and Exegesis. One of the first things I noticed is that the articles are all unsigned. The introduction explains that this is a result of the blending of two dictionaries into one, then an extensive editing of all the articles. Rather than engage in Source and Redaction Criticism to determine who wrote what, the names of the authors have been omitted. I would have preferred to see signed articles (even if that means two authors), but I understand the rationale for deleting the names of authors. Most of the 500 full-color photographs are provide by James C. Martin, author of the Visual Guide to Bible Events. They are well-produced and relate well to the text of the Dictionary. I also like the fact that the photographs are not over-used, rarely do two pages in a row have photographs and they never are larger than a half-page, most are far smaller than a half-page. There are only a few charts, including overviews of biblical books (author, historical setting, purpose and contents) and a few Old Testament or New Testament chronological charts. The 75 full-color maps are from the Zondervan Atlas, although they are rarely larger than a quarter page in size. The book-blurb on Amazon indicates that there is a Scripture index included, but in fact it is not included. I am not sure how useful a Scripture index is for a dictionary and it would have increased the length of the book considerably. Since this is a Zondervan product, all scripture is NIV or TNIV, although the spellings of common names are retained from the KJV. The book is printed on thin, non-glossy paper. I appreciate this since many of the recent Zondervan reference books (like the ZEB) have been printed on glossy paper. This is better for reproducing photography, but I find the pages glare and I am not as happy marking notes on the glossy paper. I will also point out that this book does not have a dust jacket, rather the boards are illustrated as a dust jacket might have been. This is the trend for many recent hard back books and is probably motivated by marketing concerns, but that does not mean I have to like it. At 1571 pages, this is a significant tool which will meet the needs of most laymen and most pastors. It is an attractive and well-designed book and a worthy successor to the one-volume dictionaries edited by Douglas and Tenney. With a street price of about $20, the book is also a great value. A Kindle version is available for $16.99. While it is impossible to call a book this size “handy,” it will likely be the first book off the shelf for most pastors and lay-teachers. The Jews Paul meets in Rome seem open-minded toward Paul. More importantly, they have no instructions from Jerusalem, nor has anyone come to Rome to accuse Paul. That there are no letters from Jerusalem is significant. Three possibilities come to mind: It is possible that the Sanhedrin chose to drop the case, choosing not to go to the expense of following Paul to Rome. A second possibility is that travel conditions prevented letters from arriving before Paul. A third possibility is that contact between Jerusalem and Rome was not particularly close – perhaps Jerusalem did not exert that much influence on Roman Jews. With respect to Roman Law, this is a hint that the charges against Paul were likely dropped. His accusers simply do not show up to offer evidence, therefore Paul would have been set free. Roman Jews would unlikely allies against Paul primarily because the political climate of Rome encouraged them to keep a rather low profile. They would have had to employ lawyers in order navigate the imperial courts, an expense they may not have been able to afford at the time. There were severe penalties for bringing frivolous lawsuits under Roman law (K. Lake and H. J. Cadbury, Beginnings, 4:346). If the purge of Jews in 49 effected only those who were ethnically Jewish, then it is possible that the Roman church was primarily Gentile, even if they were Gentile God-fearers. Are these people the same who received the letter to the Romans? Probably not, since they are fairly ignorant of Paul’s theology, which would be impossible if they had read Romans! Paul is seen as representing a sect, or a schism within Judaism. “People everywhere” are talking about Paul’s theology, but within the context of Judaism. This is a indication that, at least as far as Rome is concerned, there is not yet a “parting of the ways” between Christianity and Judaism. The Greek word translated here as sect is the same used for the “party” of the Pharisees or Sadducees. There is no negativity in the word itself in Greek, it is simply a way of describing a sub-group within a larger group. The sect of Paul is being opposed by people “everywhere,” a word which is rare in the New Testament, but appeared in Acts 13:45 for the Jewish response to Paul after his first major synagogue speech. This may be because the content of the Christianity in Rome primarily concerned who Jesus was (the messiah) and the status of the kingdom of God which he claimed to have established.